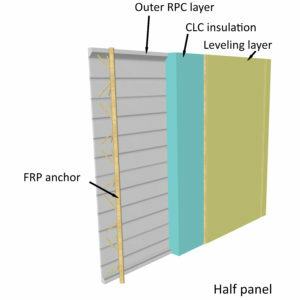 The main components developed and their materials are shown in the following illustration. Elements were produced by one industrial consortium partner in one facility in Sweden. 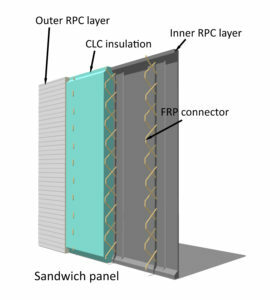 Elements consisted of sandwich and half panels for testing and for the mock-ups. *Theoretical U-values of one panel without opening and joints. U-values the same as for the sandwich elements for the two thicknesses. 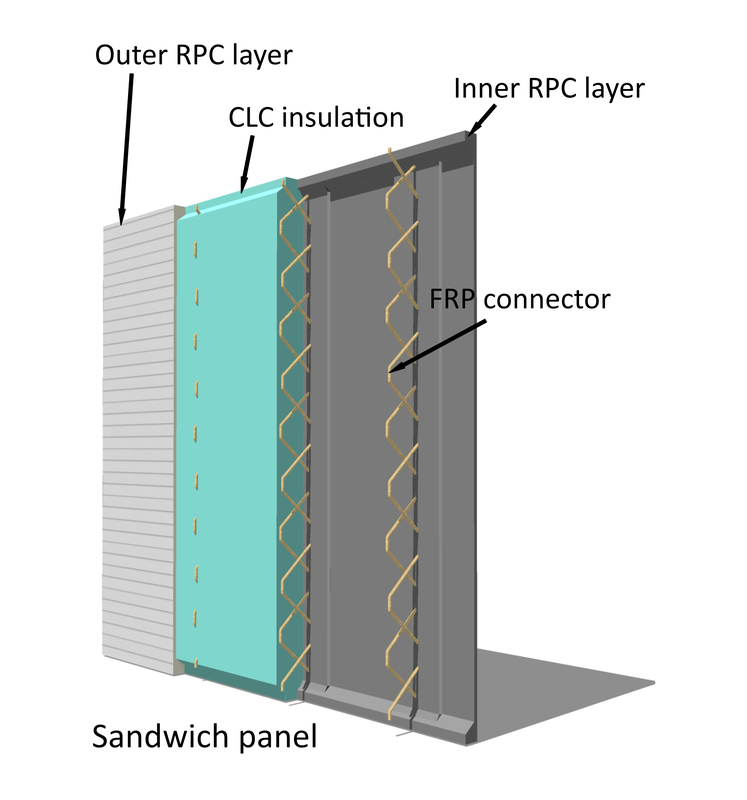 To connect the layers within the panels connectors were developed, which are based on glass fiber reinforced polymer (GFRP). The connectors can be used singular or in double configuration. For both types of panels, concepts for anchoring them to the load bearing frame of the building (floor slabs) were developed. This included two anchorage alternatives for sandwich panels and one concept for half panels.